The Talmud describes Hanukkah as a holiday of “praise and thanksgiving” in commemoration of the miraculous overthrow of the Syrian Greeks, the rededication of the Temple in Jerusalem, and the single cruse of oil that lasted eight days. Hanukkah’s festive atmosphere derives almost entirely from home ritual and customs and is dominated by light as a metaphor for spiritual freedom. This is emphasized by special holiday songs, games, and foods. Click here for more details on how to light the Hanukkah candles. The defining act of Hanukkah is to kindle the lights of the hanukkiyah, the eight-branched candelabrum (commonly referred to as the Hanukkah menorah). These lights, which can either be candles or tiny oil cups with floating wicks, grow in strength during the eight days of Hanukkah, with the addition of one candle or lighted wick each night. One light is added each night to fulfill the concept of lo moridim ba-kodesh (one does not decrease in holiness). Because the purpose of these Hanukkah lights is the public proclamation of the Hanukkah miracle, the menorah is traditionally lit in a place where the candles can be seen from out of doors, near a window or a doorway. If, however, this public placement of the menorah constitutes a danger, either from fire or anti-Semitism, the lights may be kindled elsewhere in the house. Since the Hanukkah lights fulfill a religious obligation, the rabbis forbade using them for any other purpose, even Torah study. Hence every menorah has a ninth light, the shamash, or “helper,” whose purpose is to provide light and to kindle the other candles. The candles, lit after sunset, are traditionally supposed to burn at least one-half hour after nightfall. 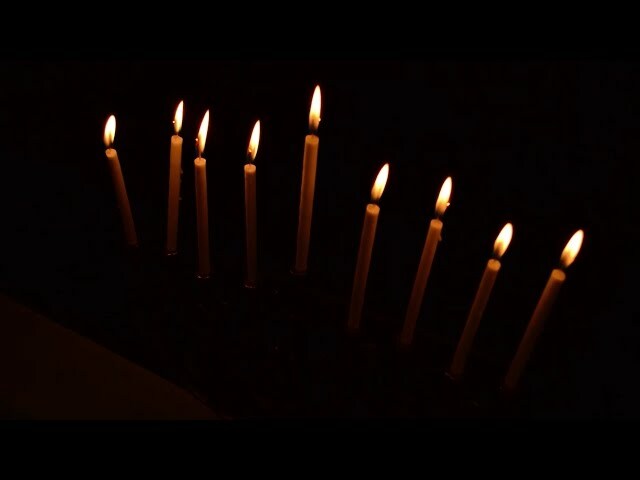 On Friday nights, the Hanukkah lights are kindled before the Shabbat candles. In some homes, the head of the household lights a single menorah for the entire family, while in others, each member of the family lights his or her own menorah. Both Ashkenazi Jews (Jews of Eastern European descent) and Sephardic Jews (Jews of Spanish or Mediterranean descent) recite two blessings each night, which affirm the commandment to kindle the Hanukkah lights and recall the Hanukkah miracle. An additional blessing said on the first night of most Jewish festivals, the Shehechiyanu, thanks God for enabling one to be alive for the celebration. Click here for the text of the blessings. Following candle lighting, it is traditional to recite Haneirot Hallalu, verses stipulating that “these candles” are holy and one is not permitted to use them except to look at them. Ashkenazim continue by singing Maoz Tzur, a hymn that remembers different redemptions in Jewish history, whereas Sephardim recite Psalm 30, a psalm for the dedication of the Temple. 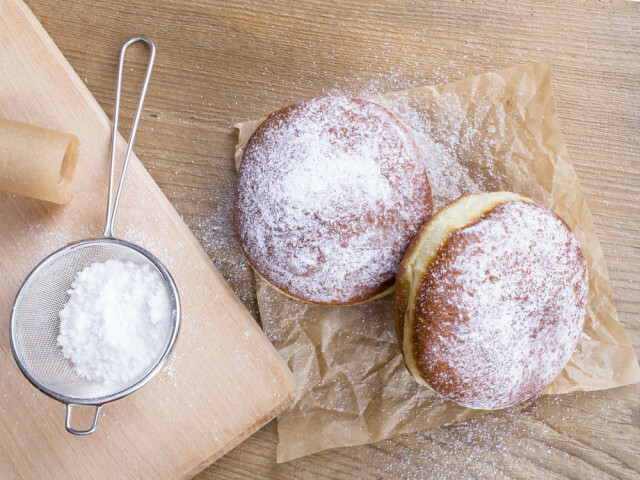 Another reminder of the miracle of the legendary cruse of oil comes through the smells and tastes of oil that permeate special Hanukkah foods— potato latkes (pancakes) for Ashkenazi Jews and sufganiyot (jelly donuts) for Sephardic Jews. During Hanukkah, an additional prayer, Al Hanisim (“for the miracles”), which expresses thanks to God for the Jews’ miraculous deliverance, is added to the Birkat Hamazon (Grace after Meals) and the Amidah (standing or silent prayer). Jewish law prohibits work for one hour after candle lighting. 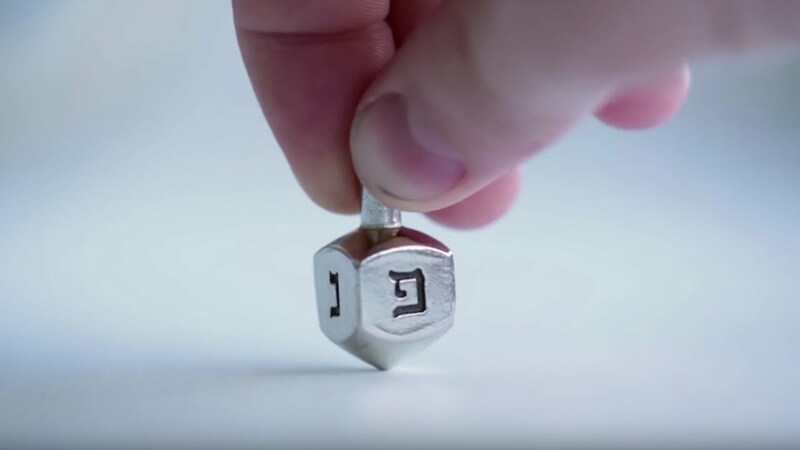 This time period is traditionally used for “family learning,” specifically to teach children about Hanukkah through study and discussion. Families also use the period after candle lighting for games, singing, and gift-giving. Hanukkah is also a time of joyous singing of traditional Ashkenazic and Sephardic songs, as well as more recent songs composed in the United States, Israel, and elsewhere. Some families enjoy decorating their homes for Hanukkah. With the proximity of Christmas, Hanukkah has emerged in the United States as a central gift-giving time for Jews, although in Europe the tradition had been to give children only raisins, nuts, and small amounts of Hanukkah gelt (“money”). 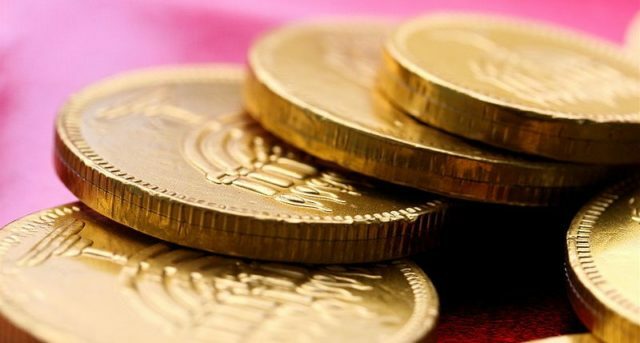 Today, gelt usually refers to chocolate coins, which are often used as ante for the dreidel pot (if they’re not gobbled up first).